Hey everyone!! 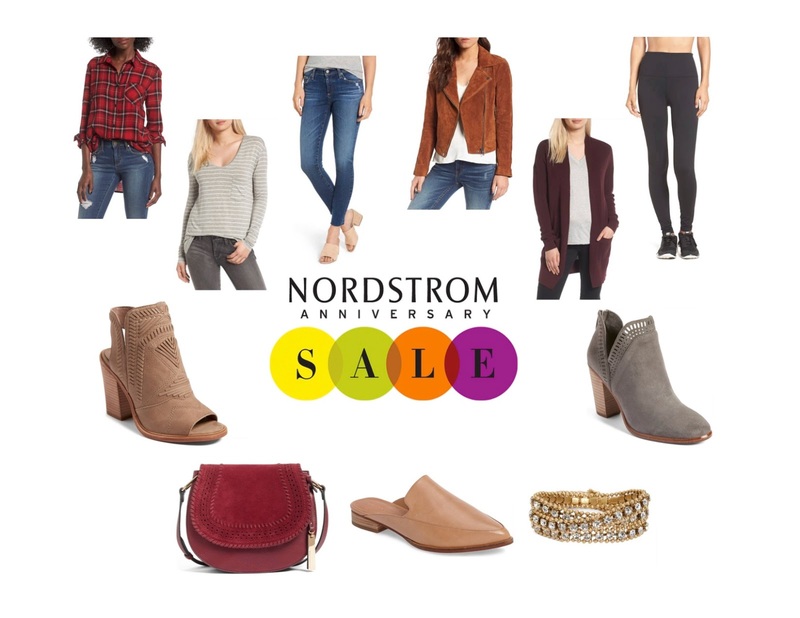 Today, I am sharing with you some of my favorite things from the Nordstrom Anniversary sale. Further I am going in to detail about what I've purchased, how they fit, and what I'm keeping/ not keeping. Let's get started! 1. Bp Plaid Top - Love love love. I'm addicted to plaid tops, but, because I'm a little chesty, the never seem to work right. I have to end up going up a size and then look like a blob. That is NOT the case with this one. The material is a little lighter weight and is super comfy. True to size. 2. Bp Pocket Tee - One of my all time favorite tees! I get a couple every year during this sale. The go to for most people is the classic white with black strips, and it usually is for me too. This year I decided to change it up and get the grey and white! So excited to get it. Go down one size on this one. 3. AG Denim - I have been dying to get my hand on these for a long time. I finally decided to bit the bullet and do it! This is the one item from the list above that I have not tried on or seen in person. But, based on the amazing reviews that I've heard, I know they will be amazing. But, when it comes to jeans I have a hard time splurging that much, so, not sure if I will keep or not. Recommend - Will get back to you! 4. Blanknyc Jacket - Love! Last year I didn't get one of these and regretting it all season. I love this color! Its a tad darker in person but still a beautiful color! The grey is amazing too.... thinking of getting it too if it comes back in stock! True to size. 5. Bp Cardigan - This is always one of my sale favorites! I got one last year and got two more this year, oops! I got the color above along with an tan/olive color. Go down a size. 6. Zella Leggings - These are the greatest leggings. So soft and comfortable. Great for both working out, running errands or a lazy day around the house. Can never have enough of these. True to size. 7. Vince Camuto Open Toe Booties - So perfect! A great transitional shoe. Can be worn now and all through the fall. They have adorable detailing, are soft, and are the perfect heel size. True to size. 8. Vince Camuto Crossbody - So, I saw this in the taupe color in the store. I loved the taupe but have so much in that color, so I decided to try the red color. I love the size of the bag, and the amount of space that it has! I think the color will be a great pop of color for my fall looks! 9. Halogen Loafer - I got these in the leopard print in the store on day one. Decided to go back these next day for this color and they were already gone. I ordered a pair and can't wait to get them. The sizing is a little funny though. The reviews on line say to size up a half size, but I wouldn't suggest that. My true to size was a tad small but the half size up was too big and with these its uncomfortable if they are even slightly big. So, go true to size. 10. Loren Hope Bracelet - I almost bought this bracelet when it first came out, but, couldn't talk myself in to paying full price. So, when I saw that this was on sale, I grabbed it immediately. 11. Vince Camuto Bootie - ALL time favorite bootie. I am in no way exaggerating. These are amazing and how darn cute is the detail? I really loved the tan color but I have so many similar ones I decided to go with the grey. So glad that I did, they are super cute! True to size. I hope these reviews were helpful. I will be doing a post of my try ons tomorrow! Happy shopping and thank you for stopping by!